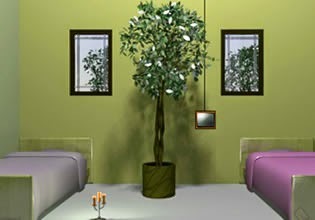 Plants Room Escape is classic Ainars escape game, sponsored by EscapeFan. Explore all rooms of the flat. Search for various object like keys, amulets, pieces of code, tools and other useful items. Solve puzzles and find exit key to open the flat exit door!